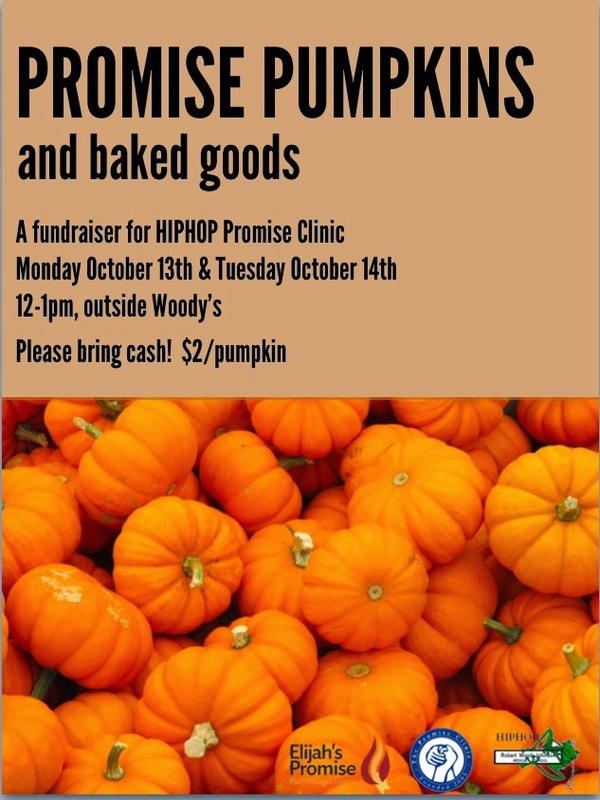 Come help support Promise Clinic's continued care for those underserved in the New Brunswick community by purchasing your first pumpkin of fall outside of Woody's (on Busch campus) today and tomorrow from 12-1! Pumpkins are $2 and fall baked goods are $1 a piece. Materials to decorate pumpkins will be provided.